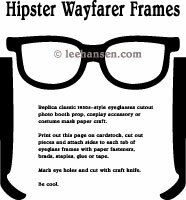 Retro hipster shades Wayfarer sunglasses template, make a cool 50s or Olaf eye mask. 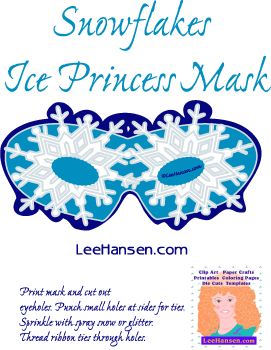 Be a 1950s hipster or play Olaf the sunloving snowman with this print, cut and assemble retro Wayfarer style sunglasses mask template. Perfect for costume play, photo booth or dress up. 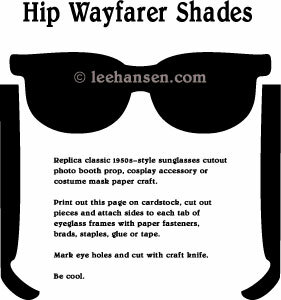 Click the image or link to open a PDF cutting page with this Wayfarer style Retro Sunglasses Mask photo booth prop mask. 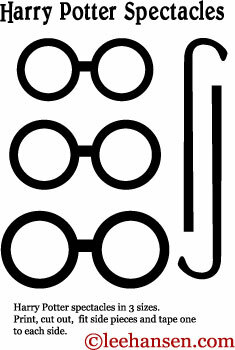 You might also like our nerdy eyeglasses photo booth masks, Harry Potter spectacles template or our Frozen ice princess snowflakes eye mask.